​Are there any other medical conditions not listed on this form that you are or have been treated for that may prevent you from entering into a physical training program? By initialling below, I acknowledge that I have voluntarily chosen to participate in a program of progressive physical exercise. I also acknowledge that I have been informed of the need to obtain a physician’s examination and approval prior to beginning this exercise program. In signing this document, I acknowledge being informed of the strenuous nature of the program and the potential unusual, but possible, physiological results including but not limited to abnormal blood pressure, fainting, muscle spasms, heart attack, soreness, or other ailments. I also understand that I may stop any training session at anytime. By signing this document, I assume all risk for my health and well-being and any responsibility, the instructor, facility or persons involved with the program and testing procedures. 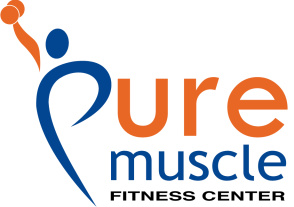 To help insure that you receive the most benefit from your training, Pure Muscle has instituted a strict Cancellation Policy. Each client is allowed one (1) cancellation per 12-session period. (If you have shared sessions, one of you may use the session to avoid losing said session.) To avoid being charged for a session, please give 24-hour notice. Each session cancelled or missed after the initial one (1), will be charged against your remaining sessions. ​There is an automatic charge for any NO CALL/NO SHOW. Temporary holds due to vacations, illness or other long-term obligations will not be deducted from your account when advanced notice is given. Also, please arrive early for your appointment. Time will be deducted from your session if you are late. Policy is subject to change at Pure Muscle’s discretion.